With DCL Pro, you can enabled Disqus comments for your Woocommerce products too. Usually when you use Disqus with Woocommerece, it will replace Woocommerce review section with Disqus comments. But when using DCL Pro, you can show Disqus comments on another tab keeping your review section as it is! If you select “Tab” options it will create a new tab on products page and you may re-arrange the tab position from settings. 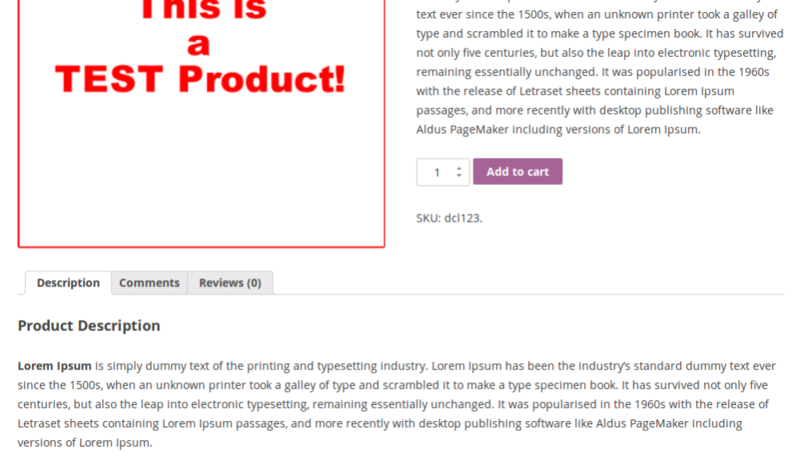 Or you may select “Description” option and it will add Disqus comments right below the products description.